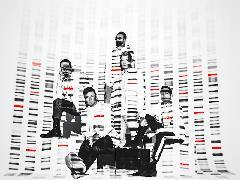 Buy tickets for Backstreet Boys DNA World Tour Live in Singapore at Singapore Indoor Stadium on 30/10/2019 at LiveNation.sg. Search for Singapore and international concert tickets, tour dates and venues in your area with the world's largest concert search engine. Backstreet Boys DNA World Tour Live in Singapore will be held on Wednesday 30 October 2019 at Singapore Indoor Stadium. Tickets go on sale across all Sportshubtix channels on Monday, 1 April at 12pm onwards via www.sportshubtix.sg or call +65 3158 7888 for phone bookings. Ticket prices range from $168-$298. Limited VIP Packages available at $398.